Body butters contain high amount of natural oils, which though do not clog your pores but cause those of us who live in Africa to sweat a lot! 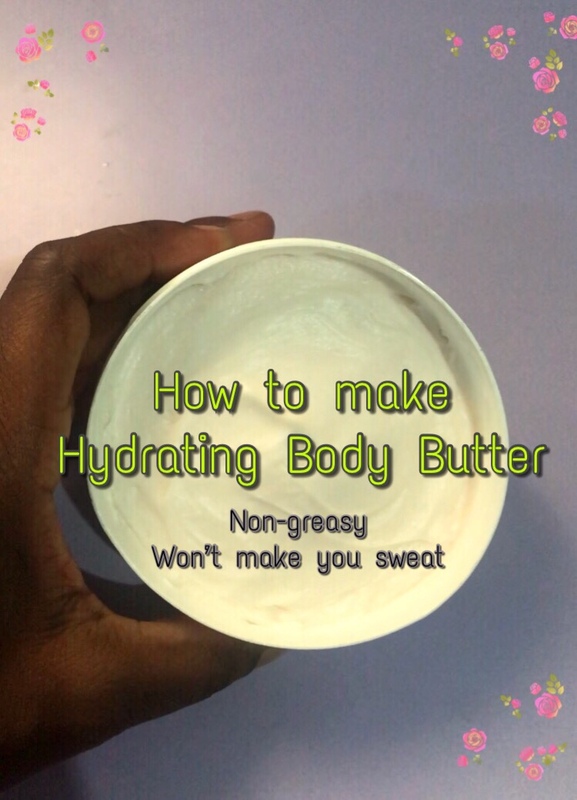 From experience as a natural skin care crafter, I have had people complain all the time about body butters making them sweat a lot due to the African heat. If you have been to African – and I live in a very hot, tropical Nigeria where the sun shines all year round! My, you would give body butters a second thought as well. Secondly, we Africans predominantly have thick, oily skin hence when we use some body butters, we feel as though we’ve got grease on our skin. So this was the reason why I formulated my own body butter. My recipe has one unique ingredient- water! With the addition of water, less amount of butters and oil and of course, with beeswax completely eliminated, what you get is a thick, creamy but light body butter that hydrates your skin and keeps you from sweating. So if you live in Africa but still want to enjoy using body butters, then watch this video and start making your own body butter. Am happy to hear from you and respond to your questions. So pls leave a comment below.